Full of history and culture, Knoxville’s Appalachian roots are obvious from the music you can hear at one of our historic theaters or the scenery you’ll enjoy floating along the Tennessee River on one of more than five major lake ways in the region. If you prefer dry land, a hike in the Great Smoky Mountains National Park is just 30 miles from downtown Knoxville. As you might imagine, that rugged history played a huge role in Knoxville’s past and continues to help shape the region today. Combine the area’s picturesque beauty with the low cost of living and it is easy to see how people quickly fall in love with this region. The state of Tennessee does not collect income tax and Knoxville’s cost of living index is 18 percent lower than the U.S. average. The median home sales price was $187,500 (as of June 2018). Knoxville is a college town, home to the state’s flagship university, the University of Tennessee. UT’s campus offers East Tennessee everything you’d expect from the state’s flagship university including academic opportunities and top-tier intercollegiate athletics. A short walk from campus, downtown Knoxville has emerged as a thriving hub for socialization. A hot spot for happy hour, dinner, or even Sunday brunch, downtown’s Market Square offers free parking on nights and weekends as well as a number of shops and restaurants. Next to Market Square, Gay Street features the Tennessee and Bijou Theaters. Both facilities offer well-known musical acts, stage productions, and the Knoxville Symphony Orchestra calls the Tennessee Theater home. Includes Cities/Towns: Alcoa, Andersonville, Briceville, Clinton, Corryton, Dandridge, Friendsville, Gatlinburg, Greenback, Harriman, Heiskell, Jefferson City, Kingston, Knoxville, Kodak, Lake City, Lenoir City, Loudon, Louisville, Luttrell, Madisonville, Maryville, Mascot, Maynardville, New Market, Norris, Oak Ridge, Philadelphia, Pigeon Forge, Powell, Rockford, Rockwood, Sevierville, Seymour, Strawberry Plains, Sweetwater, Tellico Plains, Townsend, Vonore, Walland, White Pine. There are plenty of greenway trails, rivers, lakes, and streams in Knoxville, and the country's most visited national park is a short distance away. The Great Smoky Mountains National Park is a hotspot for nature enthusiasts. In autumn, the changing colors draw thousands to East Tennessee and throughout the year hiking trails, whitewater rivers, camping, fishing, and other outdoor activities draw visitors. 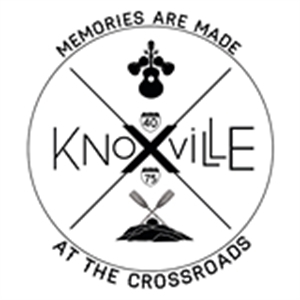 Knoxville also offers the Knoxville Ice Bears, professional hockey at the Civic Coliseum, and the Tennessee Smokies Baseball Club, the Chicago Cubs ‘AA’ minor league affiliate just a short drive away. Knoxville has a wide array of cultural offerings including the Dogwood Arts, Appalachian Ballet Company, Knoxville Symphony Orchestra, Knoxville Opera Company, several museums, Zoo Knoxville, live music events, and several festivals throughout the year. The Tennessee Theater and Bijou Theater offer well-known musical acts and stage productions. Knoxville Area Transit (KAT) operates the city's buses, trolleys and paratransit service. Seniors (aged 65+) can ride buses at a discounted fare with a valid Medicare or KAT I.D. card. All downtown trolleys are free for everyone. McGhee Tyson Airport (TYS) is served by five major airlines that offer direct nonstop flights to 20 domestic destinations including the major hub cities of Atlanta, Baltimore, Charlotte, Chicago, Dallas, Denver, Detroit, Minneapolis, New York, Orlando, Philadelphia and Washington DC. There are 14 general hospitals in the region including a children's hospital and a major regional trauma center with Lifestar helicopters. Jan 27.2 F° 37.1 F° 46.9 F° 4.6 "
Feb 30.5 F° 41.2 F° 52.0 F° 4.6 "
Mar 36.8 F° 48.9 F° 61.1 F° 4.7 "
Apr 44.8 F° 57.6 F° 70.5 F° 4.2 "
May 54.0 F° 66.0 F° 78.0 F° 4.7 "
Jun 62.8 F° 73.9 F° 85.0 F° 4.4 "
Jul 67.0 F° 77.4 F° 87.8 F° 4.8 "
Aug 65.9 F° 76.7 F° 87.4 F° 3.7 "
Sep 58.8 F° 70.1 F° 81.5 F° 3.5 "
Oct 46.7 F° 59.0 F° 71.3 F° 2.9 "
Nov 37.2 F° 48.8 F° 60.4 F° 4.2 "
Dec 30.3 F° 40.0 F° 49.7 F° 4.7 "
The Knoxville region experiences all four seasons without major extremes. Summers are generally hot and humid though not quite as hot as areas to the south and west due to the area's higher elevations. Winters are generally cool with occasional light amounts of snow. Fall and Spring are both generally comfortable seasons that have very similar transitional temperature variations. Condos Over 50 Communities The Knoxville region has a wide variety of housing options with several family friendly neighborhoods that are within fairly easy access of greenways. Median home prices are around $187,500. There is also an abundance of condominium developments.